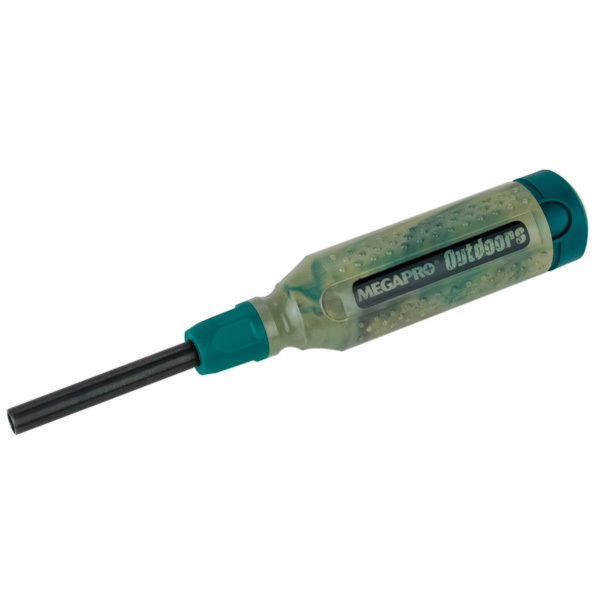 This 15-in-1 Megapro Outdoor Screwdriver is the perfect driver for rugged outdoor use. Approved for use on outdoor equipment. The handle is virtually indestructible, and is invaluable for emergency repairs and maintenance when outdoors. 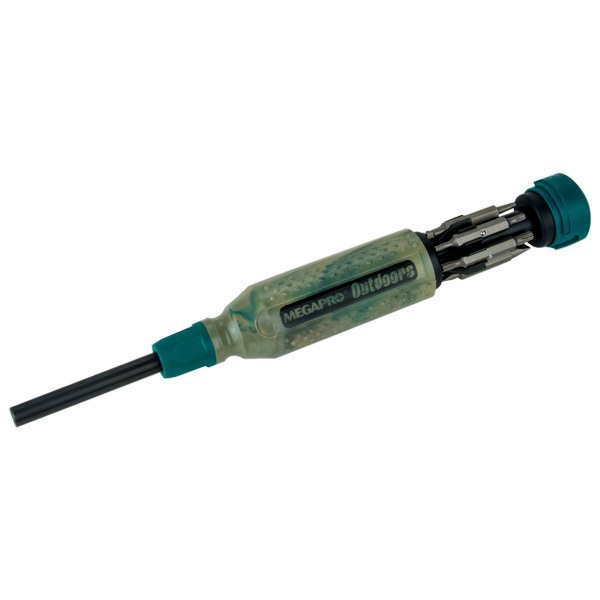 In addition to the six popular double-end professional quality bits, this driver contains a round-awl to undo rain-soaked/ over tightened knots on ropes. The shaft opening also serves as a 1/4" hex driver. All the bits are supplied and stored in the camouflage finish handle, and include: phillips bits 0, 1, 2, and 3, Square bits 1 and 2, Torx Bits 10, 15, 20, and 25, and flat Bits 4 and 6.